Belts. They hold up your pants. However, they aren’t all created equally. 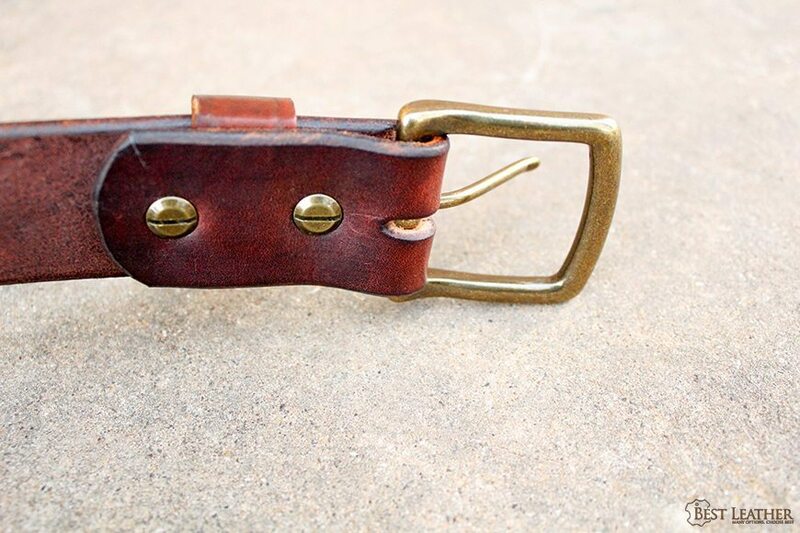 The Craft and Lore Mountain Belt that is currently on Kickstarter is the last piece of leather you’ll ever need to slide through your belt loops. The hardware for the buckle is solid brass and held together with 2 Chicago screws. There’s also a nicely finished keeper to hold any extra length on the belt down. All the edges of the belt a burnished and waxed and haven’t shown any sign of flaking or cracking with my constant wear. 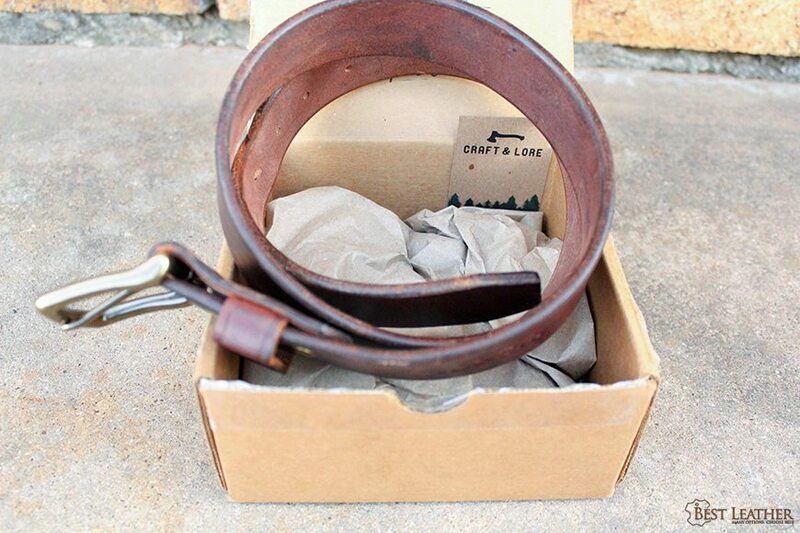 The belt is custom sized to fit, so just take note of their sizing guide and you won’t have any issues there. 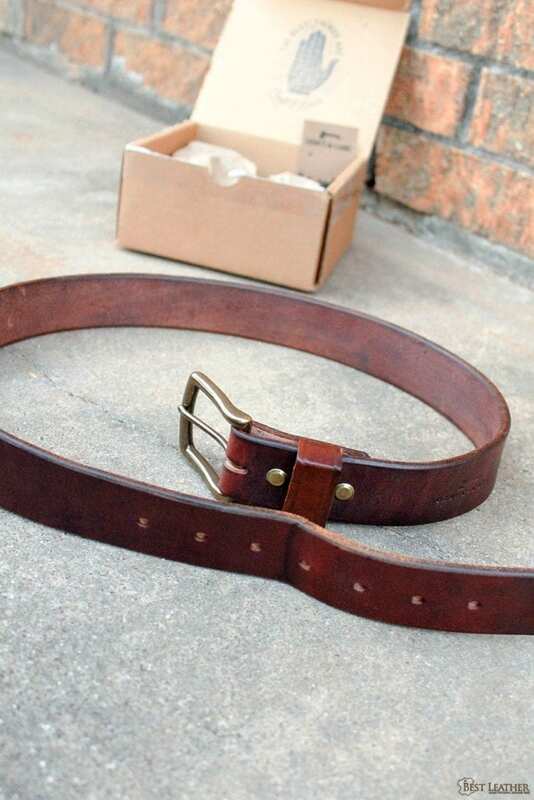 Just measure an existing belt and you’ll do just fine. It is worth noting to not go with your pants size. Clothing sizes are typically vanity sized anywhere from 2-5″ and you may need a slightly larger size than that if you wear heavier pants and tuck your shirt in. Belts are a rather simple concept. Either they hold your pants up or they don’t. Some belts will last a few months, some a few years. 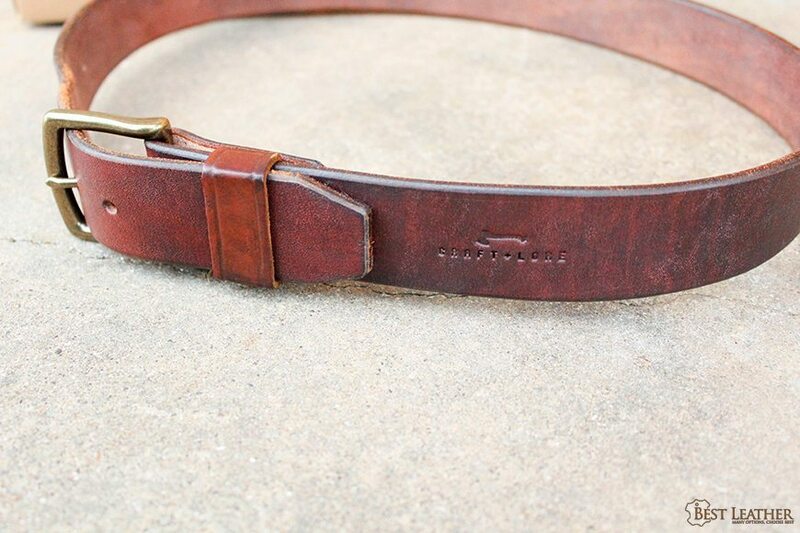 This belt I could likely give to my 1 year old son as a wedding present if I was so inclined. Some like their belts to be completely custom sized with only one punched hole. That’s not something I prefer since I like the ability to tighten or loosen my belt based on water weight or the thickness of my trousers but it is something to note. The belt has 7 holes providing enough room for growth or weight loss if your keeping up with your New Years resolutions. Like I stated before this is certainly not a dress belt. It would do fine in a casual or business casual environment but not anything past a sport coat. It’s certainly not without charm though as the detailing on the keeper looks great. 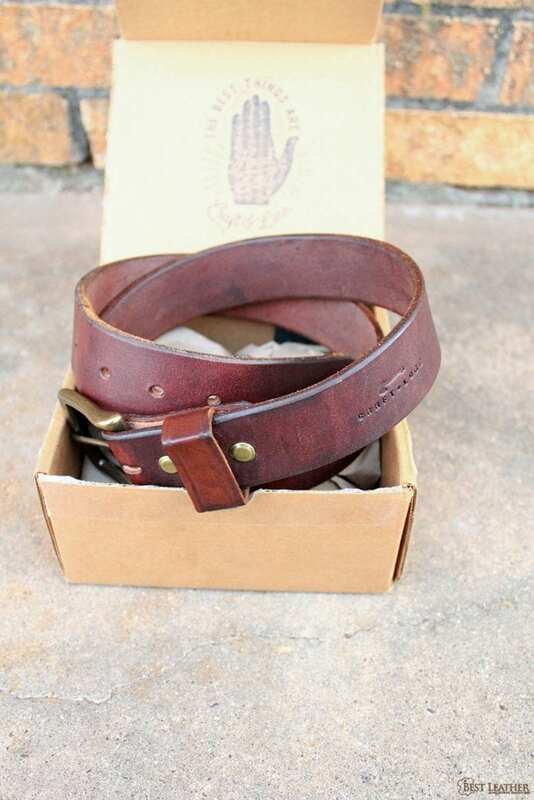 The belt I received was their dark brown color and it has different hues based on how much dye was picked up where and it will certainly age gracefully. The Mountain Belt is unquestionably a buy it for life belt that you’ll have no need to replace. With a typical price of $130 picking one up from their Kickstarter for $90 is a steal. In a world where countless things are trying to pull you down do yourself and favor and get this belt so your pants won’t be one of them. 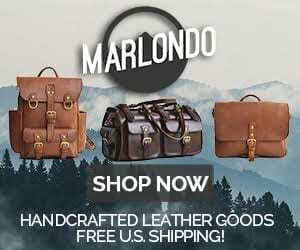 1 Comment on "Craft and Lore Mountain Belt – $90"